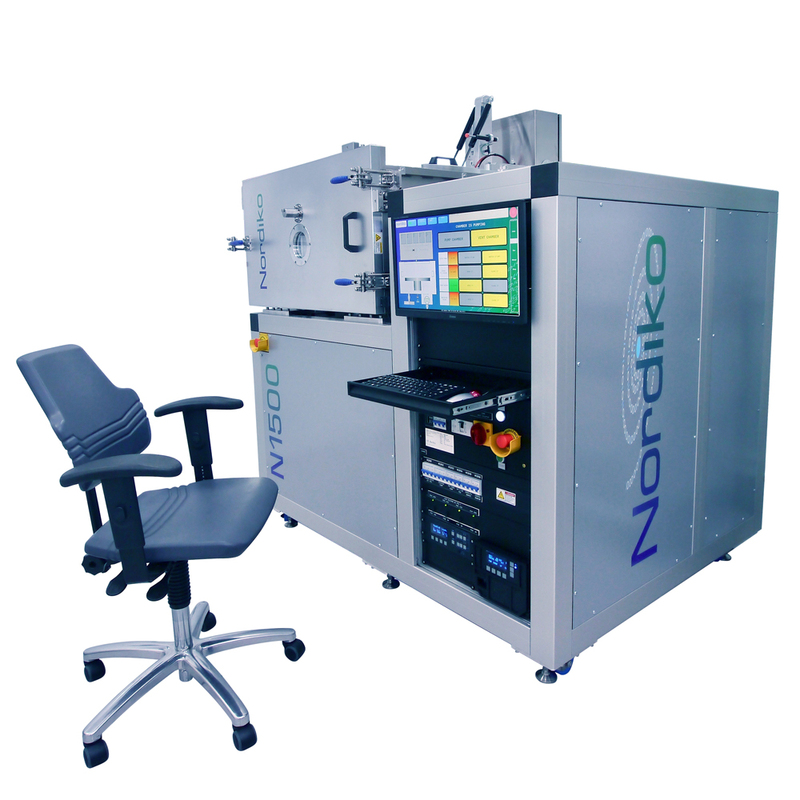 Many years ago Nordiko (1980’s) made a range of PECVD (Plasma Enhanced Chemical Vapour Deposition) machines. These were manual in operation and could be equipped with a 200, 300 or 400 mm diameter substrate electrode. They were popular for the deposition of hard carbon and used by customers to coat a variety of substrates. Recently we were approached to make a modern version of one of these systems. We were also asked to make it larger. The culmination of this project is the delivery of the Nordiko N1500-600. The machine is a cold wall, large area, RF excited PECVD reactor. Configured for batch loading the system is highly configurable and able to accept a wide variety of substrate shapes and sizes, up to 500 mm diameter. The substrate electrode is energised using a 5 kW, 13.56 MHz generator coupled through an automatic impedance transformer. Operation of the system is automated. The control system is user-friendly and provides a mimic GUI (Graphical User Interface).